With December almost here, I can't help but have Christmas on the brain! 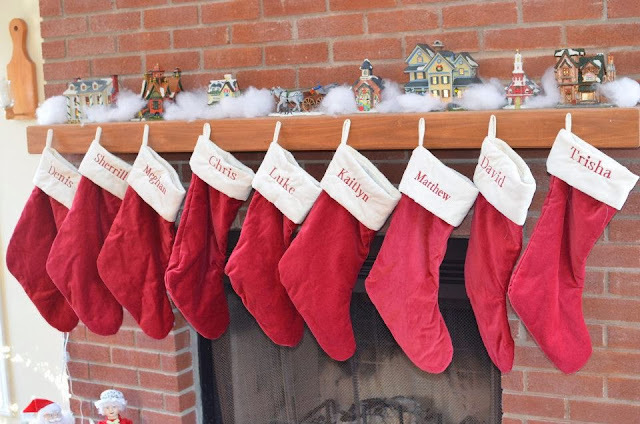 Last year we were just getting used to life with a newborn, so it wasn't a typical holiday season in our little household. 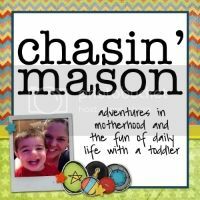 I have so many things that I want to do this year, especially now that Noah is a little older. 1. Take Noah to see Santa. A photographer we used in the past is offering a deal where Santa is coming to visit and you get 2 pictures on a CD. So we plan to do that as well as take Noah to the traditional mall Santa. 2. Decorate the tree. We only put up a little (less than 3 feet tall) fake tree in our apartment, but we plan to help my parents' decorate their tree Thanksgiving weekend. 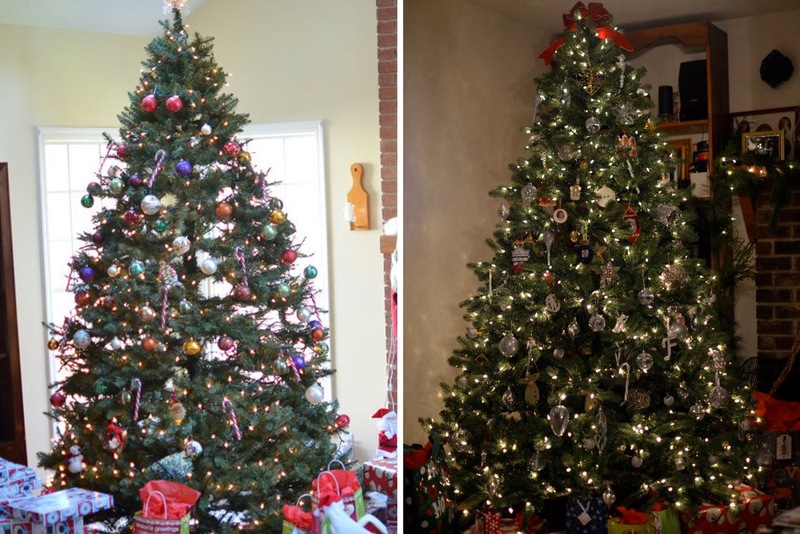 It's nice we are able to help decorate both sets of grandparents' trees! 4. Bake cookies. Every year I make Angeletti cookies. 5. Go to the MOMS Club Cookie Exchange. 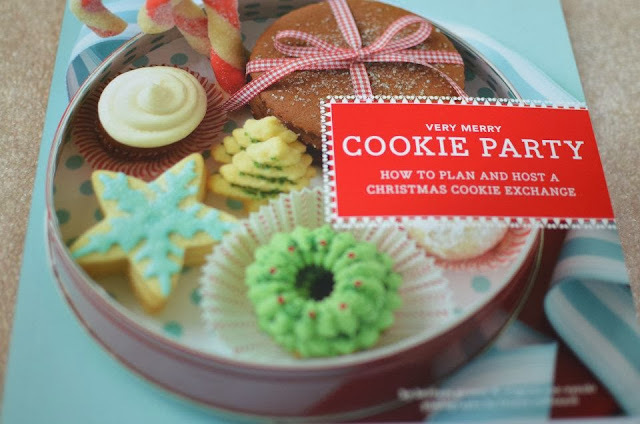 This will be my first time going to a cookie exchange party, and I have to say I'm really looking forward to it! 6. Take Noah on the Santa Train! Not sure what it exactly entails, other than Santa... on a train, but I expect it will be fun. 7. Send out Christmas Cards and display the ones we receive. We've already ordered our cards, so we plan to send them right after Thanksgiving. In previous years we displayed our cards on a card holder we got from Pottery Barn. But once Noah started crawling, he was drawn to it and tried pulling it down, so we took it off the wall. This year I think I will clear off my bulletin board and display the cards there. 8. Decorate the apartment (Noah proof style). I'm kind of limited in how I can decorate since Noah gets into everything! I figure I will put my Nativity figurines up high on a shelf, put dishcloths up in the kitchen, and maybe even hang some christmas lights around the apartment where Noah can't reach. 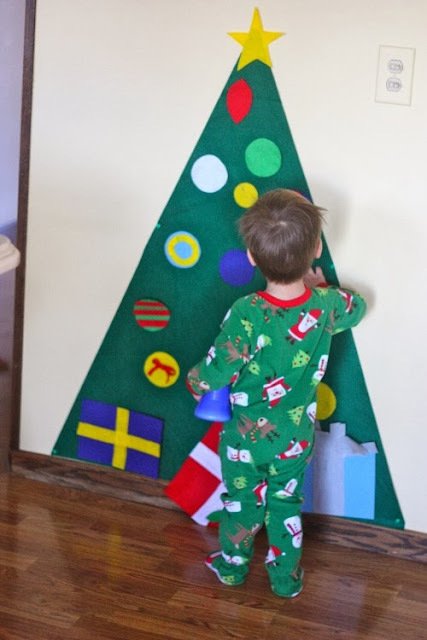 I'm also tempted to make this felt tree for him, though I might not be crafty enough for it! 9. 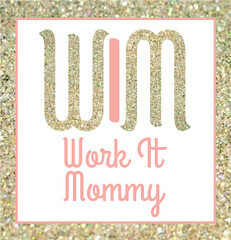 Make a Christmas Music Playlist to play in the car and around the apartment! 10. Do a Christmas themed photo shoot with Noah. I'm thinking Santa hat, Christmas lights, and a tree in the background! 11. 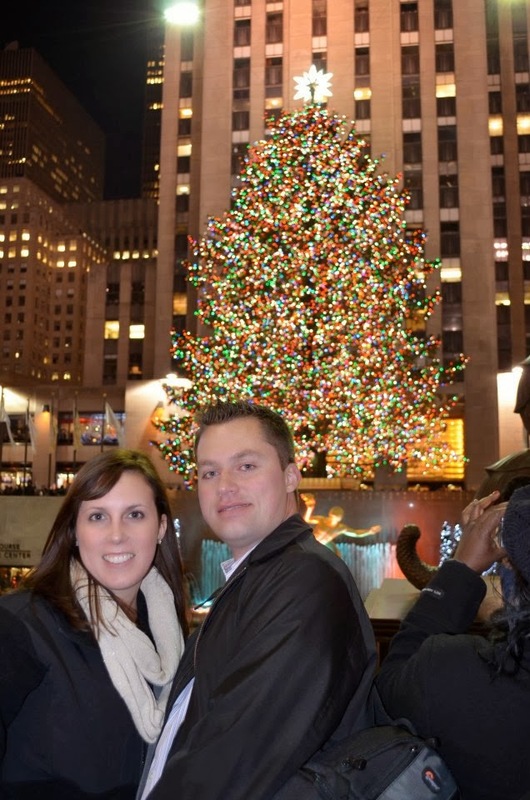 Go to the Rockefeller Tree in NYC! 12. Buy a read Christmas books. I'd love to start the tradition of opening a new Christmas book each night to read, but we may have to grow our collection over a few years rather than buying 25 books all this year! 13. Watch a Christmas movie. Haven't decided whether to watch Elf, Love Actually, Home Alone, or one of the many other classics. 14. Get a "Christmas" manicure and pedicure. 15. Take a Freel family photo wearing the matching red plaid scarves my mom got us. 16. 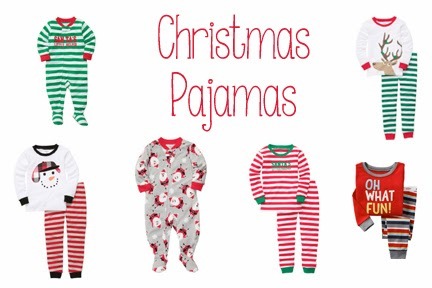 Have Noah wear Christmas PJs ALL month long! 18. 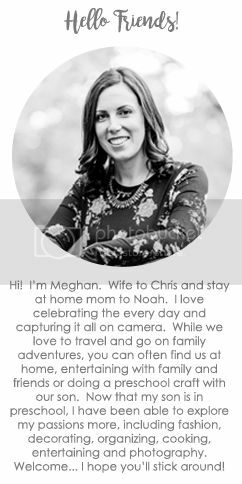 Make personalized gifts from Noah to give to our family. 19. Go to the Green in town to see the tree and all the lights. 20. Shop for a child or family in need. 21. 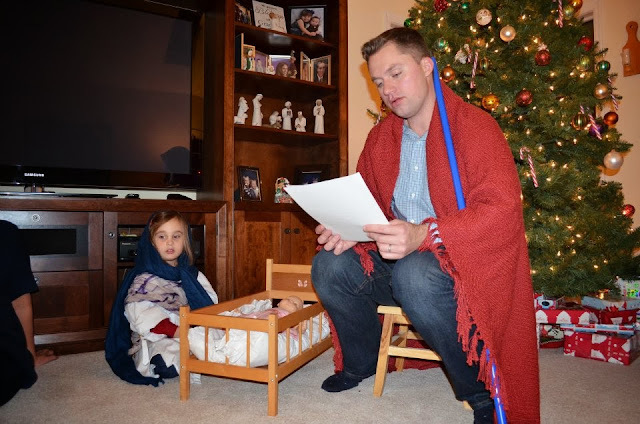 Act out the nativity with Noah and my niece and nephews... a Freel Family Tradition! 22. Decorate sugar cookies with my niece and nephews. 23. Watch Elmo's Countdown to Christmas on Christmas Eve! 24. 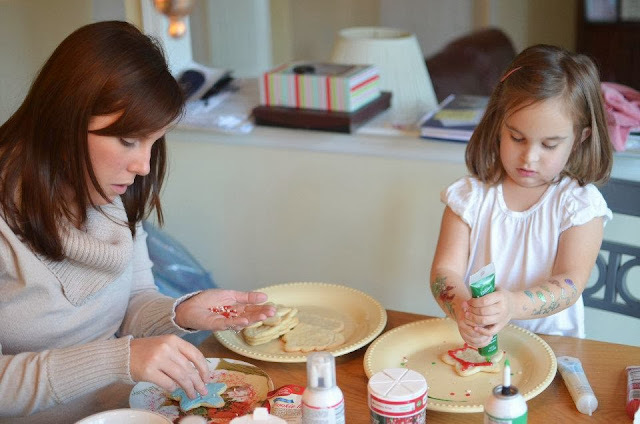 Make handprint ornaments like these. 25. Take a "cousins" picture on Christmas Eve in their matching PJs!